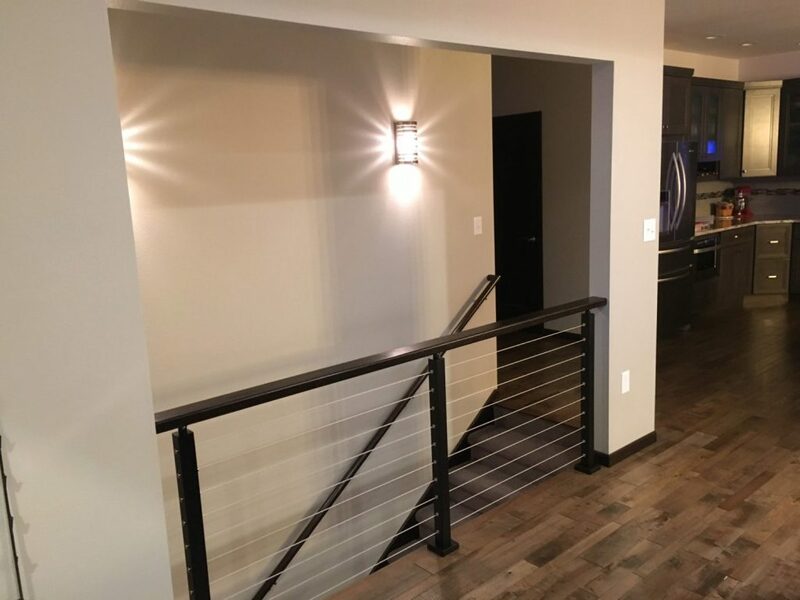 We like to highlight the way that a light wood handrail can add contrast to a cable railing system. 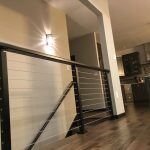 However, using a dark stained wood handrail can add a more subtle visual interest to your cable railing system. 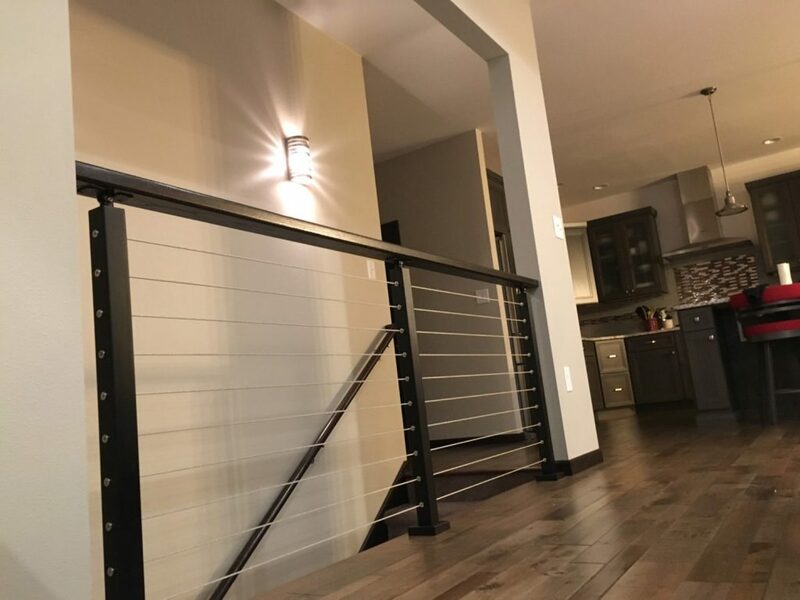 In this photo, you can see that the customers selected a wood handrail that matched the trim board of the house.This blending gives the cable railing and the home a subtle cohesion that the customers and their guests will appreciate for years to come.